I found this today at an antique store. 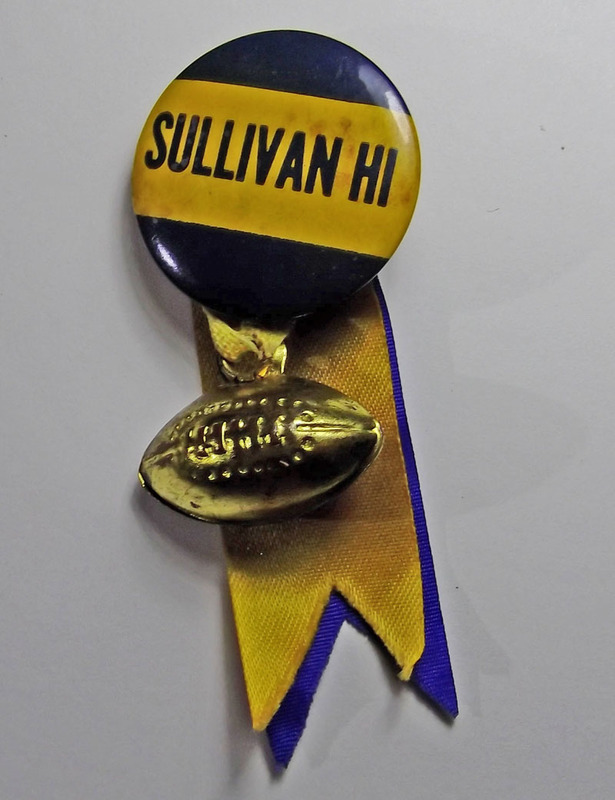 It’s the old blue and gold, Sullivan High Pirates. Looks like a booster item to be. I can’t even hazard a guess as to the date. I went there 1961-1963 and don’t recall ever seeing one. But, then, I never paid much attention to sports. This entry was posted in Bob's photos and tagged Pirates football team, Sullivan Gardens TN, Sullivan High School on December 26, 2015 by Bob Lawrence.